Brilliant Morning Star Venus shines from the eastern sky this morning as seen from the Chicago area. 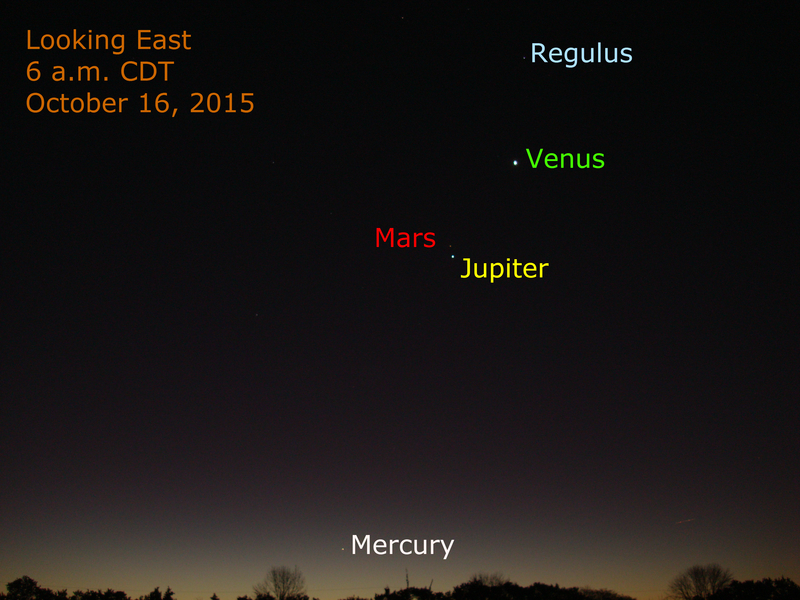 Bright Jupiter and Mars are about 0.5 degree apart this morning with Jupiter 7 degrees to the lower left of Venus. Just past its greatest angular separation from the sun elusive Mercury appears near the horizon, 28 degrees to the lower left of Venus, making this a sky full of planets.